Looks like Gucci’s foray into sustainable eyewear was more than a passing fancy. Less than a year after it debuted a line of bio-based frames synthesized from castor seeds, the Italian luxury house is poised to introduce the first-ever sunglasses made with “liquid wood.” The material, which Benetton currently uses for its hangers, combines wood fibers from sustainably managed forests, lignin from the paper-manufacturing process, and natural wax. Unlike petroleum-based plastic, it’s also biodegradable. 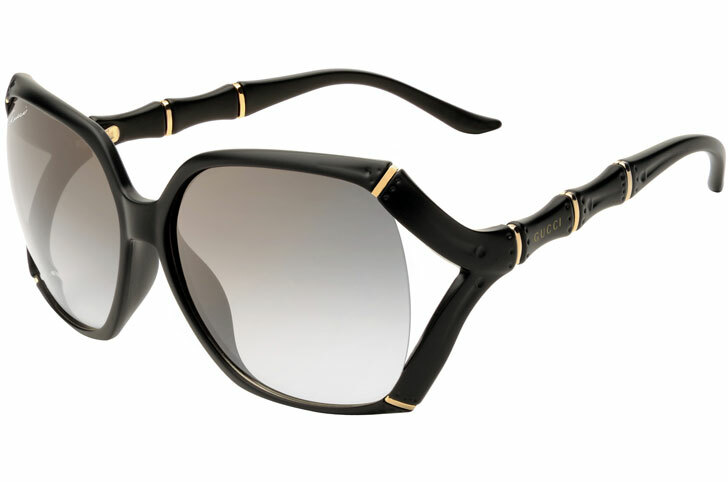 Together with Safilo, which manufactures and distributes eyeglasses for a raft of internationally renowned brands, Gucci has created a prototype with a semi-matte black frame and gray ombré glass lenses. Recycled metal makes up both the hinges and bamboo-inspired accents. Gucci will also be introducing a foldable eyeglass case to reduce the weight and number of shipments. Its frames aren’t the only thing getting overhauled, however. Gucci plans to introduce a foldable eyeglass case that minimizes stock space and both the weight and number of shipments. The new packaging, which Gucci estimates will reduce its transport-related carbon emissions by 60 percent, will include a pre-addressed envelope so customers can send it off for recycling. Gucci Unveils Bamboo Sunglasses Made of Biodegradable "Liquid Wood"
Looks like Gucci's foray into sustainable eyewear was more than a passing fancy. Less than a year after it debuted a line of bio-based frames synthesized from castor seeds, the Italian luxury house is poised to introduce the first-ever sunglasses made with "liquid wood." The material, which Benetton currently uses for its hangers, combines wood fibers from sustainably managed forests, lignin from the paper-manufacturing process, and natural wax. Unlike petroleum-based plastic, it's also biodegradable.